Many years ago in college, I used to paint and draw in a variety of styles to explore new techniques. As I became more focused on my comics (before I hurt my hand and had to go on hiatus that is), I pretty much only drew lineart heavy works. Lineart is nice and consistent for making comics so the more comics I drew, the more I got used to styles that rely on lineart. Looking at some of my more recent works, I realized how stagnant my styles have become. One of the tests, just a character bust, but with a focus on brush strokes instead of lines. 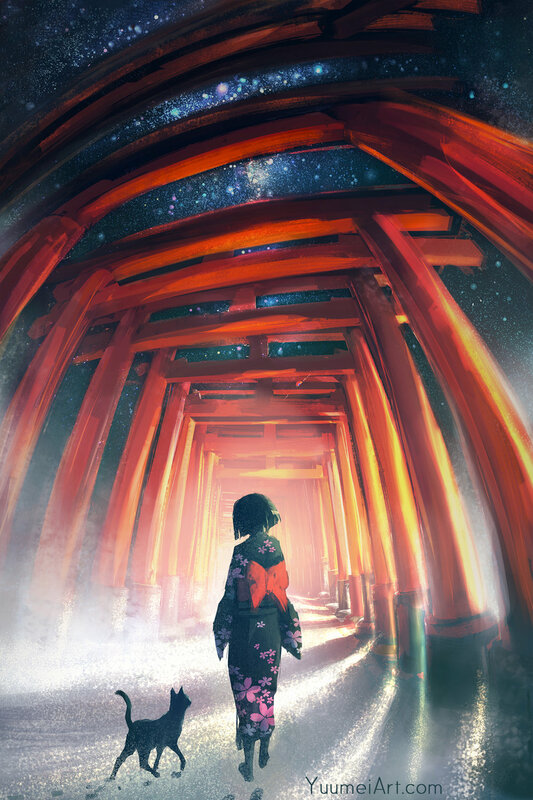 The above is inspired by my trip to the Fushimi Inari in Kyoto Japan. I was exploring the winding paths with my SO at midnight when we came across an old man walking 3 shrine cats. The cats followed him and stopped and sat in a roll when he held up his hands. He let us take some photos :) It was truly magical, the cat whisperer! And my latest test with brushes, I decided to paint the Falcon Heavy Launch by Space X. There were so many amazing photos capturing the awe inspiring power of the launch that became the inspiration for this painting. 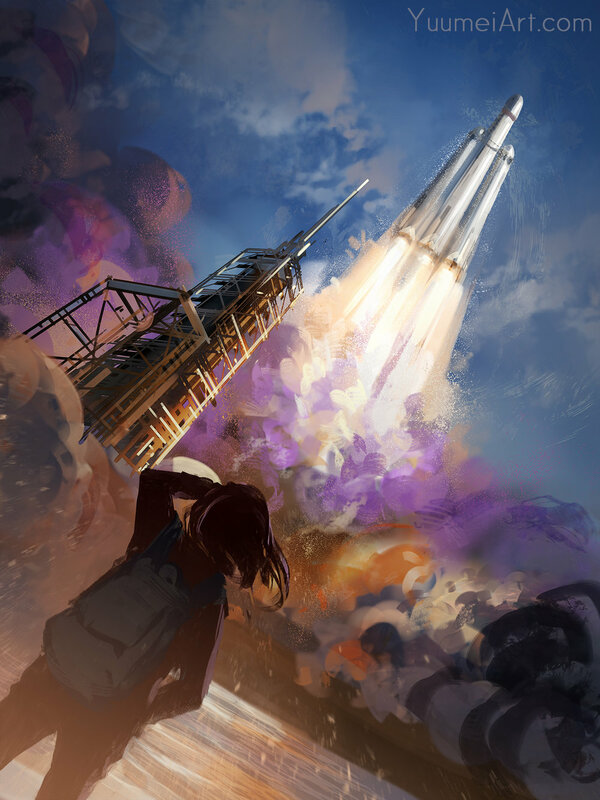 I wanted to capture how much this launch inspired future generations to aspire towards space.